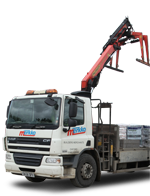 We've a wide range of cements, limes and aggregates kept in stock from leading suppliers. Building sand, sharp sand, shingles, MOT Type 1, ballast, decorative aggregates and bagged macadam - if you can't find what you need we can source it for you within a few days. Click to download our suppliers brochure.